Screen captures are useful for a variety of tasks from building tutorials to helping out those with technical issues. HyperSnap-DX is a great way to create help documents, online tutorials, manuals, training handouts, presentations, marketing materials, web pages, emails and more. You can capture text and edit it from just about any part of your screen plus capture, edit and annotate screenshots and pictures. One of the most important aspects of HyperSnap-DX is that it can capture frames and images from DirectX graphics and applications. Normally DirectX can cause problems when trying to capture shots and images but HyperSnap allows you to do so quickly and efficiently. In addition to everything else, HyperSnap-DX also includes a button capture tool which is perfect for professional technical writers who want to capture multiple documents at once rather than having to create a new capture file for each object. 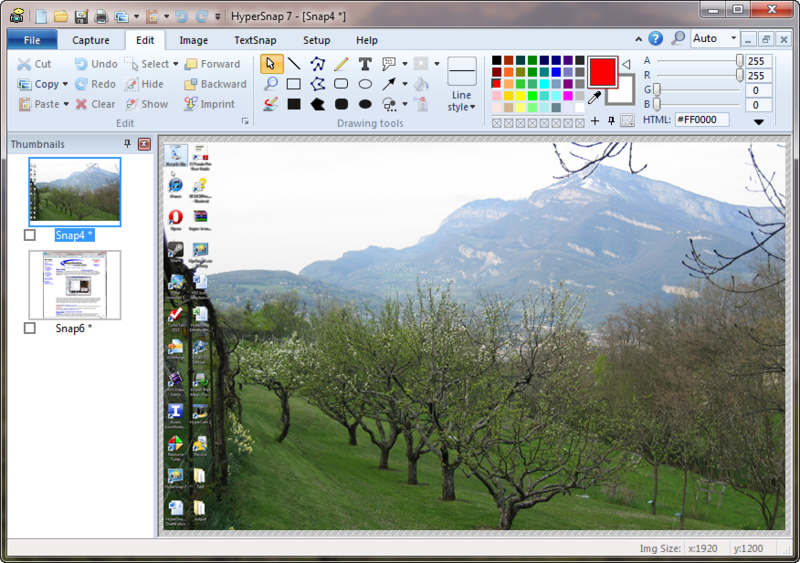 HyperSnap-DX is easy to access from the context menu and it integrates with Windows clipboard to facilitate repetitive tasks. - TextSnap feature to capture editable text from almost anywhere on the screen. Can also capture tab-delimited data for easy paste into MS Excel. - Snags also those difficult-to-grab screens from DirectX and Glide games.